Snap Track Grounding Clamps are used to attach grounding wire to Snap Track cable tray. 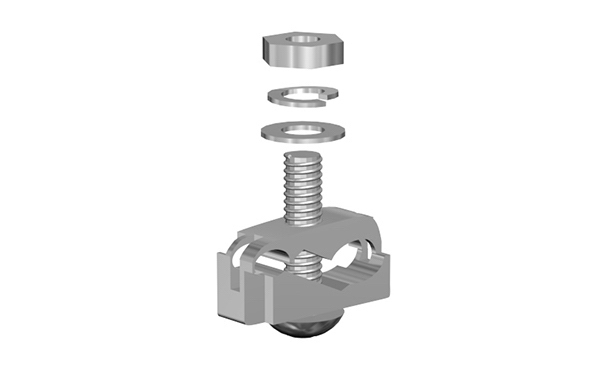 • 3/8” bolt with a ribbed neck & recessed head prevents rotation when tightened in a .440” hole. DO NOT connect bare copper conductors to Aluminum Cable Tray.